I am using getWeb3() to instantiate a contract and make calls with, the transaction says that is confirmed but when I open up developer tools there is the following error MetaMask - RPC Error: Internal JSON-RPC error. // Use web3 to get the user's accounts. // Get the contract instance. // example of interacting with the contract's methods. // Catch any errors for any of the above operations. // Stores a given value, 5 by default. // Get the value from the contract to prove it worked. // Update state with the result. a stored value of 5 (by default). Try changing the value stored on <strong>line 40</strong> of App.js. Most likely the problem is because you are running a local test-net (Ganache, local geth for dev or similar). 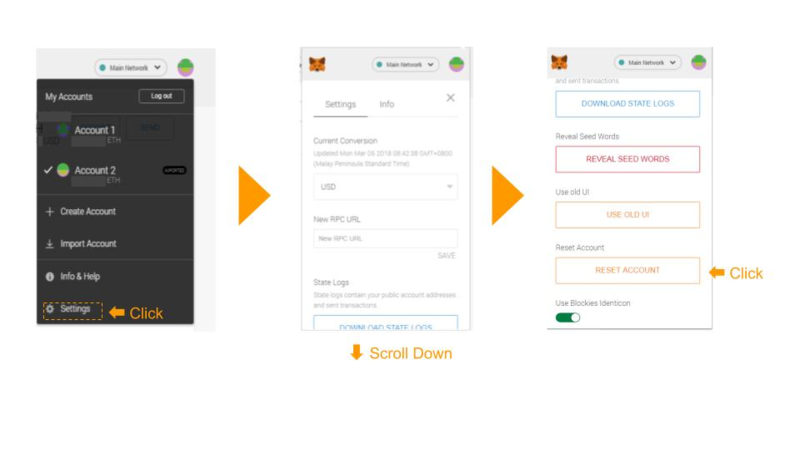 And your MetaMask was connected to a different test-network but you are still using the same network configuration. (For example, you used the same configuration with a running instance of Ganache; Then you closed Ganache and run it later). MetaMask will be confused by the nonce number. 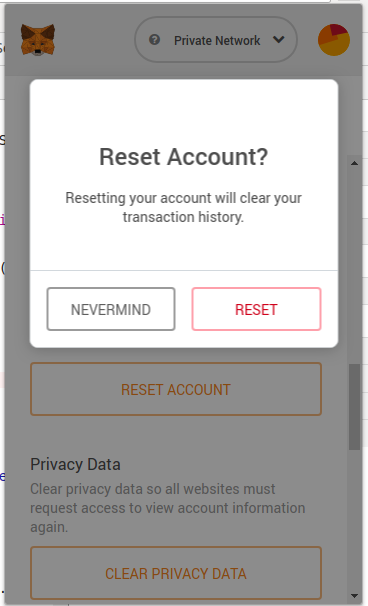 On the “Setting” page, scroll down to find “Reset Account”. Not the answer you're looking for? Browse other questions tagged web3js truffle metamask react or ask your own question. How to test if user is on the mainnet/testnet using web3? Simple but important question: How to get the value of contract's state when using Metamask?